For the record, I’m using Metalsmith, a static site generator, to build my website instead of Jekyll as a way to challenge myself here, with Pug, or Jade, for the site’s layout, and markdown for the entries. 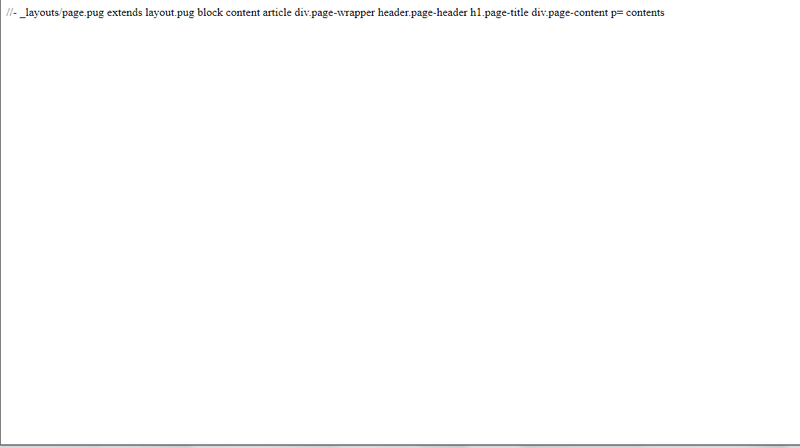 There still might be a way to put the actual site up to Github-Pages servers without showing that blank page. So far, thanks to the limited docs available on Metalsmith, and the limited help online, this step is going to be one steep climb. [ms]: "http://metalsmith.io" // Don't do this!!! The lesson above sounds obvious, but I hope this might be helpful to anyone who’s still learning markdown.